Ben Sims & Kirk Degiorgio team up once again for a peak time techno gem on their jointly owned Machine label. A driving, relentless rhythm only Sims can replicate pushes the track into the intense darkness that drives the Machine club night they've been running for a few years now. Taking inspiration from her impressive residency at arguably the number one club in the world, Panorama Bar in Berlin, the Dutch born Steffi has been keeping busy with releases this year including the light hearted "DB011" on Dolly that features a bouncy bass line to grip the track while percussion rattles around overtop. 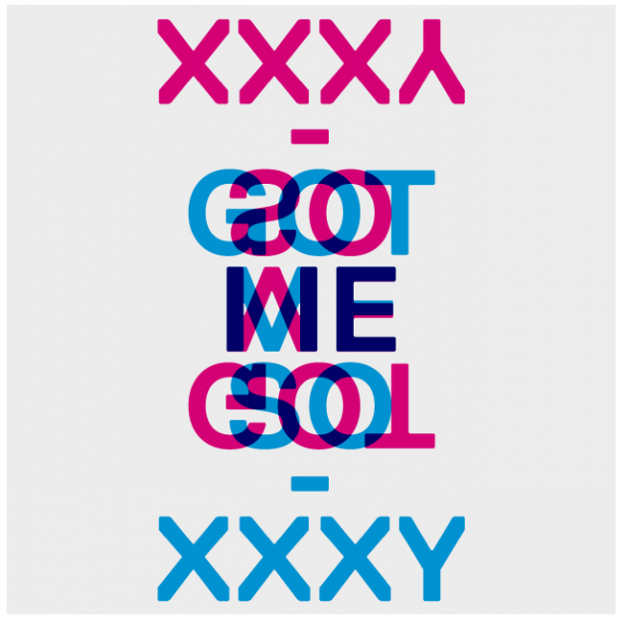 As if you didn't already know UK garage was making its way back into the forefronts of dance music, XXXY's early year output for Rinse was one of many vocal heavy, bass driven tunes that caught our ear in 2013. What does 2014 hold for the future of this booming subgenre? Although we should have expected it with an EP titled "Extinction Event", the end of Azari & III still came as a huge surprise as one of most influential dance music acts in recent years parted ways. The upside? We can expect more from the solo efforts of Alixander III who's techno prowess comes into fine form remixing another Toronto talent, HolloH. As we mentioned last week when we featured his alter ego Wax, the many monikers of René Pawlowitz are sure to frequent the EARMILK crates and he makes another splash in the Top 100 as Shed with "The Dirt", a massive techno tune that feels right at home on Modeselektor's 50 Weapons label. One of the best electronica albums of the year from Kieran Hebden, better known as Four Tet, featured an array of tracks ranging from melodic and psychedelic to more dance oriented outings like "Kool FM", proving his trippy sounds can work in a club as well as it does on vinyl in your parents basement. Another Turbo release cracks the top 100 with Belgium based goldFFinch, who's previous appearance on Dirtybird seems to have rubbed off on the Twin Turbo brand, as this bass heavy output doesn't hit quite as rough as some Turbo predecessors. Audionite's 2013 release on Boysnoize Records is one for the crates. An organ drenched peak time techno masterpiece with BNR written all over it, this timeless output that received impressive remixes from Jon Convex, J. Tijn & SCNTST was on repeat from some of the usual suspects this season, and with reason. At least the second track from Brooklyn's Fifth Wall to crack the list, Hound Scales transforms a unique female vocal along with a growling sub bass that drives this one. An intricate drum programming adds to the excitement and the newly titled Nico Jacobsen makes a grand entrance with "Case (Nobis)". First heard on George Fitzgerald's Essential Mix, the tandem of Leon Vynehall and Christian Piers drop their first EP on Fitz' Man Made Music imprint, and with classic house pianos swimming around in female vocals what's not to love? House is back with names like Bicep and Laszlo Dancehall leading the charge. That wraps up part 5 in our ongoing 100 track series. Keep an eye out as we unravel the rest of our crate into the new year and grab what you missed off Beatport, Boomkat, and Juno.